Feat. : Tad Robinson, Ken Saydak and Steve Freund. 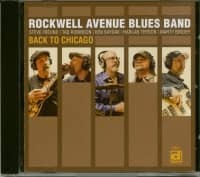 The members of the Rockwell Avenue Blues Band have each achieved successes achieved over long parallel careers, but there was some unfinished business to attend to. 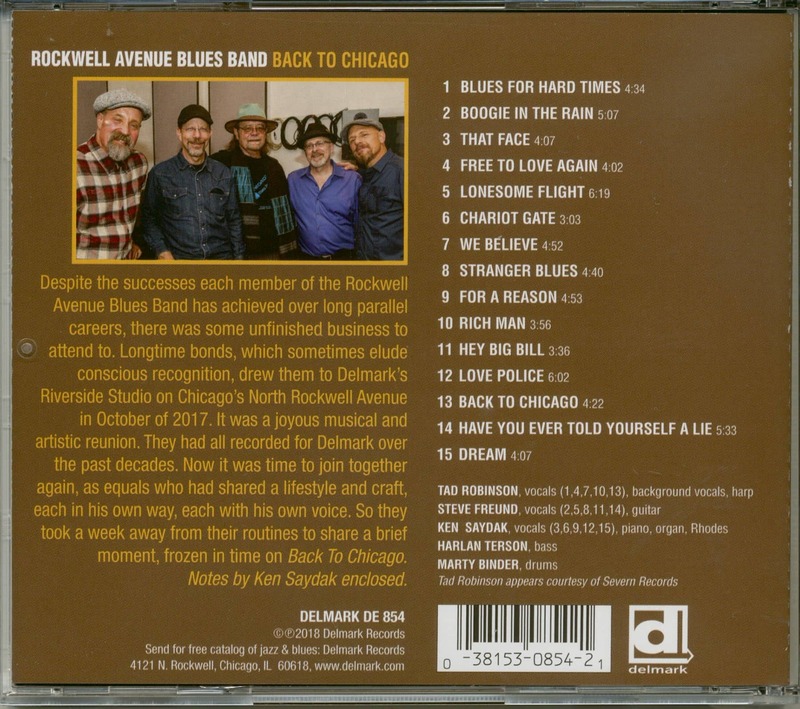 Longtime bonds, which sometimes elude conscious recognition, drew them to Delmark's Riverside Studio on Chicago's North Rockwell Avenue in October of 2017. It was a joyous musical and artistic reunion. They had all recorded for Delmark over the past decades. Now it was time to join together again, as equals who had shared a lifestyle and craft, each in his own way, each with his own voice. So they took a week away from their routines to share a brief moment, frozen in time on Back To Chicago. 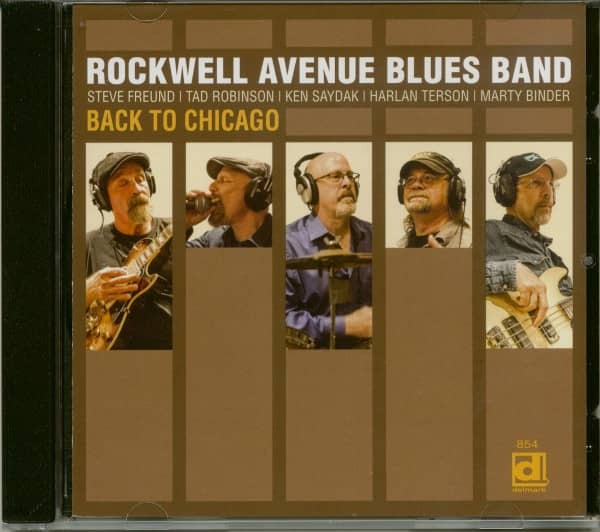 Customer evaluation for "Back To Chicago (CD)"
This is a collaboration with Tad Robinson, stellar as usual, joined by old friends and excellent musicians with deep Chicago roots. Fine, multifaceted performances; great writing, superb!